If there is a debate that will never end, it is the tablet vs iPad debate. Proponents of both devices swear by them. Tablet Vs iPad? Which has the Better Security Features? Tablet Vs iPad? Which Fits Your Lifestyle (and Pocket)? Initially, this was a no-brainer – the iPad was it. But as Android-powered tablets are becoming better with each passing day, it is not that obvious a choice anymore. If you are looking for a quality tablet (especially one that offers excellent value for money, you’ll definitely come to the crossroads of tablet vs iPad. It may seem like a simple straightforward question with an equally straightforward answer but it actually isn’t. It calls for you to understand your exact needs and what you are actually looking for in your mobile device. Before I show you which slate to buy between the iPad and its Android counterpart, let’s get a better understanding of each. By understanding these differences you will get a look at, not just the looks and performance of the devices, but the pedigree of the manufacturers as well. Ready to get to the bottom of the tablet vs iPad conundrum? Let’s get to it then. 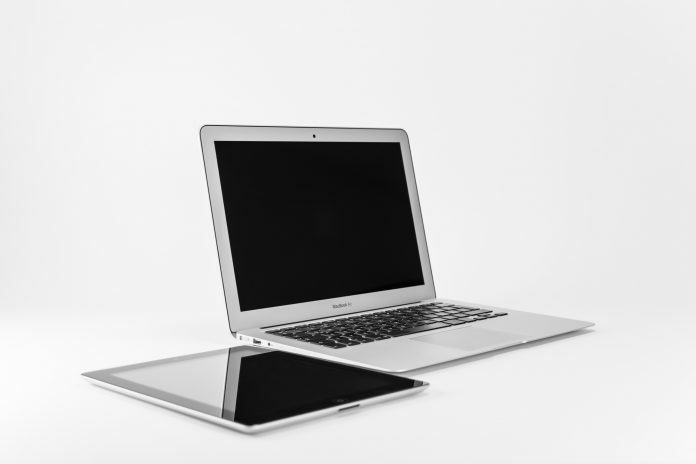 When it comes to solving the tablet vs iPad debate, the first port of call is always the heart of the matter – the operating system (and other software). Apple’s iPads are powered by Apple’s own proprietary operating system dubbed iOS (formerly iPhone OS). In all honesty, iOS is a fabulous and powerful operating system that is nearly flawless. That is if you can get past its rigidity (customization is limited). If you can, then here are the benefits you will enjoy from your iPad. Awesome App Selection. Because most apps on the Apple App Store come with a price tag, developers are quick to create apps for Apple first. And they make sure they are good. If you are looking for a great app selection, then you know how the tablet vs iPad debate will end in your case. Fast (and reliable) software updates. One area in which iOS trumps Android is in the software updates department. Every Apple device gets updated at the same time, including older models. This means if you are likely to have an Apple device that has all the latest features and functions. With Android tablets, updates are not as fast (unless your tablet is on the Android One program) and not all devices can handle the updates. App compatibility is guaranteed. Because of the closed iOS system, all apps are developed to suit the operating system and screening for approval is very strict. Because of this, an app from the Apple App Store is a rarity. Powerful Apps. Speaking of apps, the iPad supports some pretty powerful apps that are capable of some pretty intensive tasks like video editing and some heavy graphics designing. This is why the iPad is the mobile device of choice (as is the MacBook) for those who work with a lot of multimedia files. If you are such a one, then the tablet vs iPad debate is settled. The biggest advantage that the iPad may have over Android tablets is the fact that Apple supports their devices with software updates for years. This makes it easy for you to stick to the same device for many years. Apart from iOS, the only other operating system worth considering is Google’s Android. This is a great operating system too and does have some advantages over iOS too. Great customization options. One of the best features of Android is the fact that it is highly customizable as opposed to Apple which is of a more rigid nature. But if you are a technophobe, the simplicity of the iPad might just be appealing to you as there is less of a learning curve. On the other hand, if you want a tablet that you can personalize to a great extent then the tablet vs iPad question is not an issue at all. Vast hardware diversity. One of iOS’s biggest limitations is Android’s biggest advantage – the diversity of hardware it operates on. 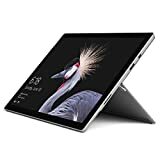 This is as an advantage because you get to choose the tablet you want, and have unlimited options as to the type of hardware specifications you want. With Apple’s iOS, you are limited to one brand and your hardware specifications are not your own but what Apple chooses to make. With Android the competition is so fierce you’ll find tablets that meet any specification standard. The iPad on the other hand only has 4 versions, namely 2 iPad Pros, a standard iPad, and an iPad mini. Limited budget? No problem. Another great advantage that Android tablets have over their biggest rival the iPad is that there is a device at every price point. Sure, the cheaper they are the fewer features they have, but most are pretty decent tablets. With iPads, however, you have to be prepared to fork out more than the mainstream average (although you can get a good used one at a fair price). I’m sure by now you are getting a clearer picture of the tablet vs iPad conundrum. But if you’re still vacillating between the 2, keep on reading. There’s still more to cover before we get to the bottom of the tablet vs iPad debate. Although we have touched a bit on the hardware aspects separating tablets from iPads, in order for you to make a more informed decision you’ll need to take a closer look at the hardware. When it comes to the iPad’s hardware you know exactly what you are getting – a device built like a tank. One thing that has made the iPad wildly more popular than Android tablets is that Apple is stricter when it comes to the build quality of its devices. Not only does Apple source the best components for the iPad, but it also makes sure they maintain their value for years to come by trying to stay ahead of the technological curve. When it comes to software, Android is the same across the board. On the hardware side, it’s totally different. This is because anyone with the facilities and abilities to make a tablet can do so and run Android as their operating system. What that ultimately means when you look for a tablet is that hardware quality is not guaranteed unless you get a device from established brands like Samsung, Huawei, Microsoft, and a few others. This is great because it gives you a wider array of tablets to choose from, but it can also bite you where the sun don’t shine if you try to dabble in unknown brands. Which has the Better Security Features? In this age, many people’s lives have become so intertwined with their mobile devices it’s difficult to separate them. From photos to relationships and even spilling over into their work, mobile devices have a footprint in nearly every area of their lives. Heck, some people even have their mobile devices monitoring their sleep. What all this means is that security becomes a major issue to look into as you go about on your tablet vs iPad quest. And when it comes to security in mobile devices, it again involves the 2 core components of your device – software and hardware. Let’s take a look at which of these devices offers you more security, not just from prying eyes, but from malicious attacks as well. The first line of security for any mobile device should always be the devices own security. This is because a mobile device like a tablet is pretty easy to steal. And if, like many of us, you keep some vital information in it, then you would want that information safe even if the device is in someone else’s hands. Tablet vs iPad, which one is more secure in this aspect? Well, if you had asked that question a couple of years back, the iPad would have won hands down due to the fact that it featured more advanced biometric locks than its Android counterparts. Today, however, nearly every Android tablet being released has some pretty effective biometric sensors such as fingerprint scanners and facial recognition. This is one area where the tablet vs iPad debate remains in a deadlock. The other level of security that is important in a mobile device is the software security. Because your device will probably be connected to the internet on a regular basis, this opens you up to the risks of cyber-attacks. This is where a robust operating system comes to play. Again, tablet vs iPad, which has a more secure operating system? Updates are fast. Because of it being a closed system, updating security patches is easier for iPads than it is for Android-powered tablets. With Android devices, it can take a while for such devices to reach some devices, especially because of compatibility issues. It’s a closed platform. The other factor that helps make the iPad more secure than its Android counterpart is the fact that iOS is a closed platform as opposed to Android’s open source system. Because of it being open source it is easier to attack and thus most malware made is created to target Android devices. But because of the stringent measures Apple takes to ensure that its “ecosystem” is safe from malicious software, it is more secure. When it comes to security, the iPad has a slight advantage of Android tablets making it worth the premium prices it commands. 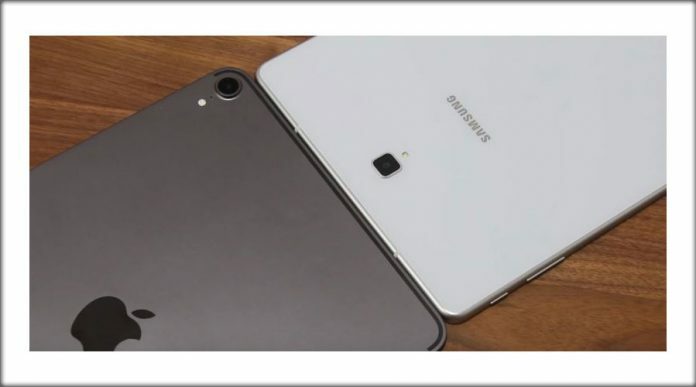 Now that you have seen the technical aspects used to determine which device is better for you between the iPad and Android tablets, let’s look at a few examples so that you get a clearer picture of what the market has to offer. Before we go window shopping, remember that the iPad only has 4 variations while the Android tablet market has so many different devices you can use one a day and not even get through them all in an eternity. To make things easier, we’ll break the completion down into 2 categories – the best overall and the best budget option. The 10.5-inch iPad Pro is possibly the best iPad ever made by Apple. Coming with a 2224 x 1668 resolution 10.5-inch Retina display, this iPad Pro is not too big neither too small for most consumers – it’s just the perfect size. This makes the iPad Pro 10.5 easy and comfortable to handle, especially since it weighs a mere 1.03lbs. But ergonomics is not the only thing that makes the iPad Pro the best overall iPad. When it comes to performance, the iPad Pro is truly that – a Pro. It handles every task thrown at it with great ease thanks to A10X Fusion chip that powers it. This makes the iPad run smooth, fast, and efficiently. As for hardware, it’s an iPad so you can only expect the best. Notably, you’ll find 4K recording, powerful speakers, and a 12MP camera with 5x digital zoom. Yes, I’m looking at you media junkies. Our revolutionary S Pen is more precise and pressure-responsive than ever, and never needs to be charged, liberating you to create, translate, and navigate without limits. Powerful Quad speakers, tuned by AKG, calibrate with your movements as you rotate the Galaxy Tab S3, and intuitively reflect what's playing on-screen. Easily switch from touch to type with a feather light keyboard that auto-pairs, attaches on contact and never needs charging. Giving the iPad Pro a run for its money is the Samsung Tab S3. With power and performance that rival the iconic iPad, it’s no wonder then that the Samsung Tab S3 is also priced similarly. The Samsung Tab S3 is a beautiful slate that comes with a powerful quad-core Qualcomm Snapdragon 820 chipset. Although not the latest chipset it’s powerful enough to carry out heavier tasks other tablets fear to tackle. A brilliant super AMOLED screen, very loud speakers, and a full-size stylus are just the tip of the iceberg as far as features are concerned. If, after settling the tablet vs iPad debate, you’ve decided to go the Android route, then this is definitely the slate for you. I know it sounds like an oxymoron but budget and iPad are seemingly becoming easier to mention in the same breath. Especially since Apple decided to make the iPad 9.7 more affordable to budget-conscious consumers in 2017. So if you’ve always wanted an iPad but the high prices kept it out of reach, there’s no better time than now to fulfill your dream. This iteration of the iPad is the iPad Air 2’s replacement so you know you are getting an exceptional machine. Featuring Apple’s A9 chip, a 2048 x 1536 9.7-inch Retina, and a battery that will last you over 10 hours, this is one tablet you will enjoy for years to come. Although it is a budget iPad, it is still a bit more expensive than most of the other budget tablets on the market with its around $300.00 price tag. But that is $300.00 (Approximate price) you definitely won’t regret spending. Buying a budget Android tablet is risky business if you don’t know which to spend your precious money on. And that’s where the Huawei MediaPad T1 comes to save the day. 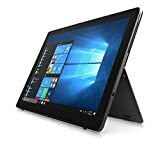 For around $100 you get a sturdy entry level tablet that will afford you great media consumption, web browsing, and a little bit more. Coming with a 7-inch IPS screen with a resolution of 600 x 1024 pixels, you will definitely get sharp contrast and bright colors. Powered by a Spreadtrum SC7731G chip with a 28nm quad-core 1.2 GHz ARM and running on Android 4.4 KitKat, you definitely get a little more than what you would pay for with another brand. Couple that with a surprisingly good battery that can run for 8 hours and you have yourself a very good deal. Which Fits Your Lifestyle (and Pocket)? At the end of the day, the tablet vs iPad debate can only be solved by one person – you. The slate you will ultimately be happy with is the one that suits your lifestyle and budget. Sure, everyone may be raving about the iPad, but will you put it to full use or will many of the features and power remain untapped? At the end of the day, it is you who will have to live with your device, so tablet vs iPad, which is it? Two-in-1 tablets are taking over the markets. The idea of having one product serve as both a tablet and a laptop is to save money, enhance portability and increase convenience. With so many out there competing, it can be difficult to narrow down your search. Well, you needn’t search much longer. The 2-in-1 tablet is different than a 2-in-1 laptop. The former is more of a tablet that can also conveniently be used as a laptop. The latter is more of a laptop but can also be used as a tablet if needed. This list focuses on the former. The ideal 2-in-1 tablet will perform tremendously as a tablet and as a laptop. Accessories will either be inexpensive or included in the base price. Also, it should have the ability to switch back and forth between tablet and laptop with ease. You can find them at large department stores and online. The price varies. Great quality low-ends can be found for $500 with a keyboard, with the most expensive surpassing $2,500. This list is the result of a tremendous amount of thorough research. In order to provide quality, accurate and unbiased reviews, both consumer and expert opinions are considered when coming to conclusions. This list focuses on hybrid tablets rather than hybrid laptops, so only detachable keyboard options have been considered. On average, a quality 2-in-1 tablet will roughly around $2000 with accessories included. This list includes budget tablets as well as high end tablets. In order to simplify your search, here are the best 2-in-1 tablets to choose from. Processor: Intel Core i5 Processor. Microsoft produces a reliable 2-in-1 that takes the crown. It has more affordable options to suit your performance desires and stellar performance. Disappointingly, the Surface pen is no longer a part of the package as it was in previous models. Varies quite a bit depending on which version you get. The lowest end option is around $600, and it is $800 with keyboard and stylus. The highest end option is $2300, and it is $2540 with keyboard and stylus. 4 GB DDR4-2400 SDRAM and 16GB Intel Optane memory, total 20GB memory. This is a worthy Microsoft adversary. An upgrade to HP’s G1 model, it outperforms its predecessor in speed and reliability but underperforms in battery life. Anywhere from $1,200 to $1,500. The Acer Switch can be considered the budget Surface Pro. It performs well for what it costs. It does come with a lot of bloatware, however, meaning it has unwanted manufacturer software that takes up disk space. Including keyboard and stylus, it can be found anywhere between $500 and $650. Amazon and the Acer site are the best bets. Confidently take on your workday with our durable and highly High reliability HP ZBook 15 that has gone through 120,000 hours of testing and is backed by a 3-year onsite limited warranty. Designed for demanding workloads, our HP ZBook 15 is engineered with the latest Intel Xeon processors, 3D graphics, storage, and more. The Zbook is a splurge 2-in-1 for creatives. It’s pricey, but it’s more than a tablet; it’s an entire workstation designed for those who want more of a creative touch. MSRP is $2800, but it can be found for less on Amazon. 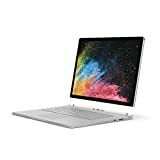 Out of all tablets on this list, the Surface Book 2 is the one that feels the most like a laptop rather than a tablet. It also has the longest battery life of all the tablets that were reviewed. For those who want more of a laptop and less of a tablet, this will be your top choice. 7th Gen Intel Core i5-7200 processor. It comes with a keyboard and stylus, which is always a plus. It sports a high battery capacity and a great display. However, for what it costs, the design isn’t as great as expected. Enjoy a 12" Screen with Portable Entertainment with a Stunning Display: Whether for work or leisure, the high resolution 2K (2160 x 1440) display features widescreen IPS technology and an integrated, adjustable kickstand for viewing from any angle. With the integrated speakers and Dolby surround sound technology, the X1 Tablet is perfect for watching videos. ThinkPad Keyboard Perfection: The X1 Tablet features the detachable keyboard with the legendary ThinkPad design. The built-in TrackPoint and trackpad replicates the feel of our award-winning keyboard that's been perfected over more than 20 years. The Lenovo X1 has one of the best keyboards in the game. It has several different port options to suit your needs. It’s geared towards professionals, but the overall performance is uninspiring for the price tag. Check the amazon and lenovo website. 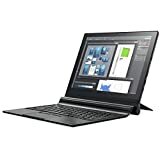 15.6" diagonal Full HD IPS WLED-Backlit Multitouch-Enabled display (1920 x 1080) Display with Built-in HD webcam with two microphones, AMD Radeon Vega; The 1920 x 1080 resolution boasts impressive color and clarity. Touch, tap, glide and make the most of Windows 10. IPS technology for wide viewing angles. Energy-efficient WLED backlight. Windows 10 brings back the Start Menu from Windows 7 and introduces new features, like the Edge Web browser that lets you markup Web pages on your screen.| 1-Year UpgradePro Limited Warranty* | View description and warranty section below for more details. The new HP Envy X2 boasts up to 22 hours of battery life with weeks of standby time. It also supports 4G LTE data to use on-the-go. It sports the Qualcomm Snapdragon 835 processor, which you can usually find on high-end smartphones. While the idea is great, the transition into a tablet isn’t quite as smooth as they probably were expecting. Also, with Snapdragon, several Windows 10 apps won’t work yet, though they are constantly updating that list over time. A great laptop replacement for basic computing. However, the more high-end options are very expensive. Though it attempts to be a smaller, cheaper Surface Pro, it doesn’t quite live up to expectations. However, it’s a solid, affordable tablet for basic computing and browsing. 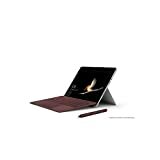 Microsoft has been at the lead of the pack with 2-in-1 tablets for many years with their Surface series, and the Surface Pro doesn’t disappoint. For the best overall choice, the Microsoft Surface wins. However, the HP Elite X2 1012 G2 is an excellent choice as well. The professional design of the Elite X2 is sure to appeal to those in the business world. It feels luxurious to the touch and performs incredibly well but with a slightly disappointing battery. Nevertheless, it is an excellent overall choice for its stunning display, port availability and the fact that it comes with a keyboard and stylus. It performs just slightly less than the Surface Pro with matching features, but it is thinner in design. If you’re shopping on a budget, the Acer Switch Alpha 12 or the Microsoft Surface Go will be your best choices. It’s been a long wait but at least it’s finally over. The Huawei MediaPad M3 is here. Many tablet manufacturers have been making great tablets that people absolutely love. But one segment in that market has been missing – the 8-inch tablet. And the Huawei MediaPad M3 has filled that gap. In case you are wondering, the 8-inch range is the Goldilocks zone when it comes to tablet size – big enough for productivity and yet can be comfortably held without straining your digits. But size isn’t the only thing in this flagship tablet’s favor. Let’s take a short journey and review the Huawei MediaPad M3 and see what this Chinese tablet brings to the table. Chances are, it won’t spend much time on any table as it is such a great device it’s difficult to put it down. But then I get ahead of myself. Huawei smartphones and tablets are relatively new to the mobile device market. But despite that, they are causing serious upsets as they are stealing the show. Although for many people Huawei is a new name, the company has been around for quite some time (since 1987) and is a major player in networking and telecommunications. Long story short, Huawei (pronounced Hwa wei) is a Chinese multinational networking, telecommunications equipment, and services company that was founded by Ren Zhengfei. The company started off manufacturing phone switches but quickly grew to become the global behemoth it is today. And that fact is attested to by the fact that Huawei is now the second largest smartphone manufacturer in the world, upsetting Apple and making Samsung run for their money. Unlike many Android smartphone manufacturers who depend on other companies for chips, Huawei develops its own chipsets dubbed Hisilicon kirin. And it seems Huawei has the Midas touch because everything it touches turns to gold. That’s exactly what has happened to their chipset – it literally is gold and is making big players like Qualcomm shiver in their boots. 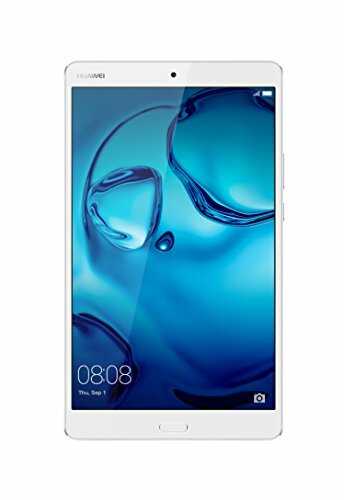 With so many good things the company is doing right, why would you hesitate to pick up the Huawei MediaPad M3 if you are looking for an affordable but powerful tablet? Well, let me arm you with the information you need to help you make your final decision. Although Huawei is relatively new to smartphone and tablet territory, it is outperforming many big boys who have been plying the trade for what seems like an eternity (and in the digital world it is). That success is mainly to one strong quality you will find in all their products – a near perfect balance of quality and price. Let’s take a look at the quality aspect of the Huawei MediaPad M3, shall we? Just from that glimpse alone, I’m sure you can already tell that this is one excellent tablet. But let’s break it down and scrutinize the Huawei MediaPad M3 to the minutest detail. One thing you need to know about Huawei is that they make great hardware. And with the MediaPad M3, it’s no exception. Featuring a brilliant aluminum and glass build reminiscent of the flagship Huawei Mate 9, the Huawei MediaPad looks all the part a flagship tablet. And for a tablet, it is pretty ergonomic and easy to handle thanks to its size and slightly curved back. The side bezels are a bit of a controversy as they are very thin. Others claim this makes it difficult to grip the tablet while the opposite camp loves them to bits as you have more screen real estate. The top and bottom bezels are also small, with just enough room to house the camera and fingerprint sensor respectively. Speaking of the fingerprint sensor, you will find that it is more than just a security feature but your navigation hub as well. That’s because the Huawei MediaPad M3 deviated from the normal capacitive “back” and “recent apps” buttons and completely removed them. Instead, the fingerprint sensor serves as your home button (by holding it down), recent apps tab (by swiping), and the back button (by tapping it). it takes a bit of getting used to but it’s quite a great way of navigating through the device. Okay, enough of the fingerprint sensor, let’s get back to the rest of the tablet. Looking on the right side of the device, you will find a single-piece volume rocker, sitting just above an easy to locate textured power button. The top houses a speaker and 3.5mm audio input while the bottom features a speaker, a pin-hole mic, microSD card tray slot, and a micro USB port. 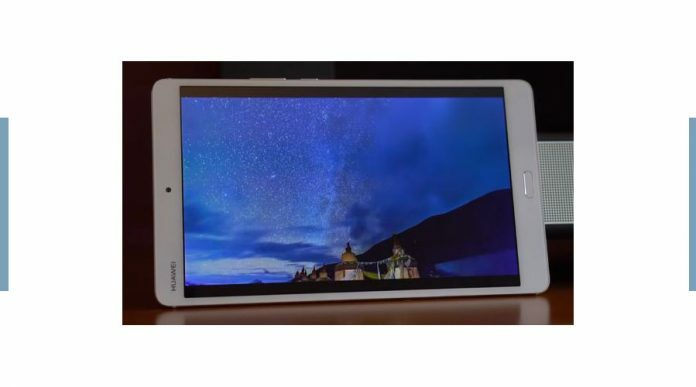 Concerning the USB port, the Huawei MediaPad M3 could have been better off with a USB-C port. The back panel is home to an 8-megapixel rear camera which is contained in a white glass strip. To add more flavor and eye candy, there’s also nicely done Huawei and Harman/Kardon branding along with an antenna strip. All in all, the Huawei MediaPad M3 is a well-designed and solidly built tablet. You’ll definitely be hard-pressed to find a tablet to match its quality at this price point. And especially since Huawei throws in a screen protector into the box, this is a true value for your money tablet. The Huawei MediaPad M3 comes with a gorgeous 8.4-inch IPS display that has a 2560 x 1600 resolution. The result is 359 pixels per inch, which is good enough to afford you with great images. The colors on the MediaPad M3 are accurate and vibrant while the contrast deep, resulting in a pleasant viewing experience. And if you don’t like the default display settings, you can tweak the temperature warmth to suit your eyes. The only downside to the Huawei MediaPad M3’s display is that it’s reflective, therefore making it difficult see much on if you are using outside on a sunny day. This definitely is not the best screen on a tablet by far, but it’s not the worst either. And no, it doesn’t sit somewhere in the middle, it is actually better than the average tablet screen. As for the dual speaker setup on the Huawei MediaPad M3, Huawei paid special attention to them to ensure they blow the completion out of the water. And they probably succeeded as their partnership with Harman Kardon resulted in a very powerful speaker set. In fact, they are so good they can put most laptop speakers to shame. And to add to the audio experience, Huawei packed their SWS 3.0 (Super Wide Sound) technology into the MediaPad that automatically differentiates between music and video so as to deliver the right multimedia experience. This is one area the Huawei MediaPad M3 truly manages to grab attention in the noisy tablet world. The speakers are strong, crisp, clear, and afford excellent quality sound. So when it comes to practical use, how does the Huawei MediaPad M3 fare? Pretty good actually, let me show you just how. 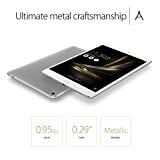 Packed with a powerful quad-core HiSilicon Kirin 950 CPU (4 Cortex-A53 everyday cores and 4 Cortex-A72), 4GB RAM and a Mali T880 GPU, this tablet is a serious performer. The Kirin 950 chip is a high-end member of the HiSilicon CPU family and mated to high-performance cores you can expect nothing but the best experience. Because of its chipset, the Huawei MediaPad M3 can easily handle multi-tasking, video streaming, and casual gaming. And when it comes to gaming, the active word is casual as this is one area in which this tablet is a bit of a letdown. Playing 3D games is not as fluid an experience as you get on other flagship tablets. But minus the poor gaming, you won’t be disappointed with the Huawei MediaPad M3’s performance as it will quickly zip from one app to another as you multitask. Very few tablets have cameras as good as those found on smartphones. The Huawei MediaPad M3 follows that trend. But in all honesty, tablets are not really made for taking professional photos due to them being on the bulkier side. This makes it a bit tricky to get the right angle. Let your smartphone handle that department. That being said, the Huawei MediaPad M3 has a decent enough 8MP rear camera that is ok if you want to take the odd photo or 2. But be sure not to point the camera in the sun’s direction as lens flare can discolor large portions of the image. Low light situations are also a no-no as your images will turn out noisy due to the fact that there is no flash to help with illumination. Where the rear camera falls short, the front camera is the tablet’s saving grace as long as taking photos is concerned. That is mainly because the MediaPad M3 takes some pretty sweet selfies. This is evidenced by the life-like colors and detail-rich portraits it produces. As for the camera app, it is feature rich and offers you many options to play with. In fact, they are so many you may not go through them all. Overall, the Huawei MediaPad M3 sports a decent camera. Nothing to write home about, but not bad either. To power the MediaPad M3, Huawei fitted it with a 5100mAh battery, which is enough to last a full day with regular use. However, to prove the efficiency of the battery, putting it through some torturous paces of streaming at maximum brightness, the MediaPad managed to hold on for 8 hours and 50 minutes. When it comes time to recharge, the Huawei MediaPad M3 can stretch your patience if you’re used to fast-charging devices. Had the MediaPad M3 been kitted with a USB-C port, this could have been mitigated. Despite its shortcomings, the Huawei MediaPad M3 is still a very good tablet. And in its category, it is definitely one of the best. Coming in the perfect body (shape and size-wise), performing as well as some of the big boys, and priced just right, this is one tablet you shouldn’t hesitate to take home with you. If you are a serious gamer, this is not the definitely not the tablet for you. But if you want to use for streaming, browsing the web, or keeping up to date with what’s happening on your social media channels, then this is definitely the tablet for you. One of the biggest strengths that the Huawei MediaPad M3 has is built quality. 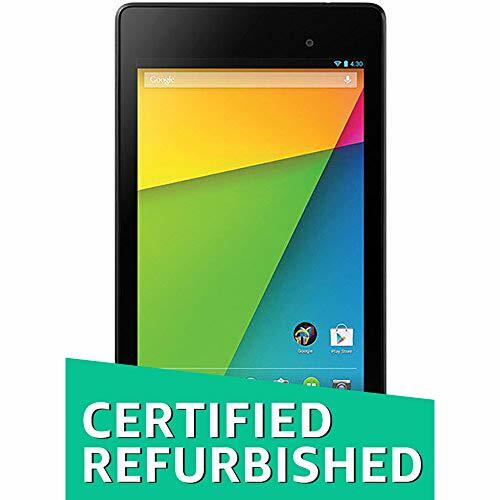 If you don’t want to replace a tablet soon due to damage, then this is the tablet to throw in your bag. The world of mobile devices has been extremely fluid over the past few years. Especially after Apple launched the iPad in 2012. True, the iPad is not the first ever fully functional tablet as we know it today. It was actually preceded by other tablets made by Microsoft, Lenovo, Fujitsu, and other brands. But Apple’s design, operating system, and other features made the world stop and pay attention to this particular device. And ever since then, the iPad has been the device other tablets are measured against. Most of the iPad’s competitors fall flat on their faces while a few manage to come close enough to the high standards set by Apple. One such device is the Samsung Tab S3. The price may be a bit of a shocker but don’t just dismiss it based on price. This is one of the best Android tablets on the market, if not the best. From design to performance to durability, Samsung really nailed it with this tablet. But the question still begs to be asked – is the Samsung Tab S3 good enough to compete against its direct rival, the iPad Pro 9.7? You probably know a lot about the iconic iPad so I won’t waste your time by regurgitating information you already know. Instead, let’s review the Samsung Tab S3 so we can gain a better understanding of this David trying to bring down might Goliath. The iPad has been unofficially crowned the king of all tablet devices. Judging from the sales, fan base, and, let’s be honest here, near flawless performance, that could be true. That is until you encounter the Samsung Tab S3. Let’s take a look at the few reasons why the Samsung Tab S3 deserves the right to have its own throne – as the king of the Android tablets. But first, a brief overview of what this fabulous tablet brings to the table. On paper, the Samsung Tab is an excellent machine. But how does it fare when it comes to practical use and living with it? The Samsung Tab S3 is a beautiful tablet, even though it is very similar to the previous iteration, the Tab S2. But there are a few changes that immediately stand out, like the Gorilla Glass back panel that gives the tablet a smooth, cool, and comfortable feel. Gorilla Glass panel aside, the Samsung Tab S3 is a well-designed tablet that also boasts of dimensions to write home about. It may not be the biggest loser but it certainly is thinner than the iPad Pro, albeit by only a few ounces. Upon inspection, you will find the Samsung Tab S3 sporting a home button that also doubles as a fingerprint scanner at the bottom center of the tablet in its portrait position. This is flanked by “back” and a “recent apps” capacitive buttons. The bottom edge features a headphone jack and a USB-C port with 2 speakers on either side. The right edge features the usual volume rocker and the power/standby button. As for the top edge, it is bare except for the 2 speakers on each corner. One design element you can write home about (literally) is the S-pen that comes standard with the Samsung Tab S3. This comes as a relief as the iPad Pro’s stylus comes with a price tag close to $100.00. Unfortunately, there is no slot to house the S-pen as in other models such as the Samsung Galaxy Note series. But this is probably because this is a full-sized pen and not one of those skeletal ones that don’t allow you to use maximum pressure and have dodgy grip. The best part about the Samsung Tab S3, however, is its brilliant display. What would you expect from the company that practically invented AMOLED (and supplies Apple’s screens)? But let’s take a look at what exactly you can expect from the Samsung Tab S3’s 9.7-inch super AMOLED screen. As already mentioned, displays are Samsung’s forte. And the display on the Samsung Tab S3 is no different. Well, actually it is as this is one of the few Android tablet screens that have been future proofed by coming with an HDR ready screen. But you may have to wait a while before you get to test the HDR aspect of this screen as HDR movies are still relatively new and only a handful of streaming services have started rolling them out. High Dynamic Range, or HDR, affords the same 2048 x 1536 Quad HD resolution, higher contrast ratios, and brighter highlights. You’ll find this especially advantageous when watching darker movie scenes in which much of the picture is lost to shadow. I know what you’re thinking – 4K also improves the viewing experience. True, but on a smaller screen, HDR does a better job as the expanded brightness range is more effective than extra pixels. If we were dealing with larger panels, say television size, then 4k would definitely be the winner. This means the Samsung Tab S3 offers you a taste of the future now, making it a tablet you can enjoy for years to come without having to upgrade when HDR viewing becomes prevalent. That makes getting a Samsung Tab S3 now a wise decision. With a screen this vibrant and colorful, the iPad’s looks dull and lackluster when they are put side by side. For audiophiles, this could be the best tablet on the market. The Samsung Tab S3 packs a set of quad speakers powerful enough to drown out the competition. The speakers are tuned by AKG and offer crisp, clear sound with no distortions even at high volumes. But the beauty is that they sense which orientation you are holding the tablet in and adjust the sound accordingly so that you don’t miss a note. With sound coming from all four corners of the tablet, watching a movie or listening to your favorite beats can be quite an immersive experience. This is one set of speakers that is powerful enough to wake the dead. Well, not really, but close enough. Besides the super responsive touchscreen, the Samsung Tab S3 offers you more options in terms of how you choose to interact with it. The first is the keyboard, which, sadly, comes separately. The good thing is that it is quite affordable. For a small keyboard, it is quite easy and isn’t as cramped as it looks. The travel distance is also quite comfortable and the keys don’t need too much pressure to depress. The other input device is the S-Pen, which, thankfully comes in the box. This is the Samsung Tab S3’s icing on the cake. You may not use it often, but when you do, it will be a sublime experience. One of the coolest features of the S-Pen (besides it thinner nib) is the fact that you can use it to scribble a note without having to unlock the tablet. That means when you get inspiration in the middle of the night, all you’ll have to do is pick up the tablet and write without disturbing your eyes (or partner) with the bright screen. Apart from design, the biggest breaker when it comes to tablets is performance. Let’s face it, Android tablets are running for dear life at this moment as they are failing to cut the grade as far as performance is concerned. Especially with the proliferation of smaller and more affordable notebooks like Chromebooks that are able to provide a better experience for those wishing to push some office work on a commute. But the Samsung Tab S3 is not just any other Android tablet. It’s the king of the hill, and that for more reasons than just looks. The Samsung Tab S3 is powered by a quad-core Qualcomm Snapdragon 820. We have seen this SoC (system on a chip) on a number of Android smartphones already but it‘s newer to the tablet range. Although it isn’t the latest chipset, it is still one powerful one that you can expect to handle anything you throw at it, including 3D gaming. And because it has become one of the most popular chipsets, don’t worry about it becoming obsolete anytime soon. The power it brings to your device and the profits it delivers to the manufacturer will probably keep it in the game for quite a while. 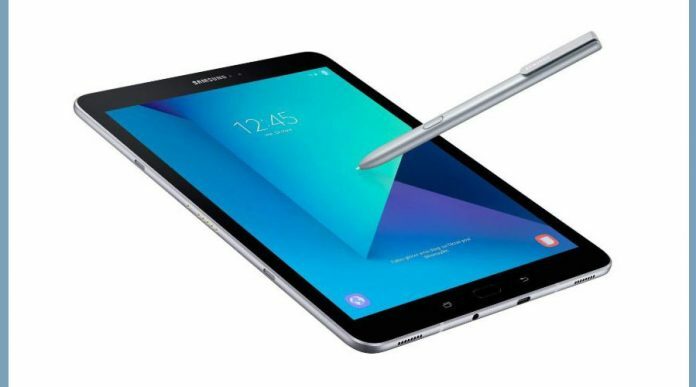 Put through the Geekbench 4 paces, the Samsung Tab S3 achieved impressive scores of 4,128 (multi-core) and 1,738 (single-core). This is way better than its predecessor, the Tab 2, and category rival the Google Pixel C. Sadly, however, it trailed slightly behind the iPad that managed to score 4,204 and 2,490 scores respectively. In practical terms, that means the Samsung Tab S3 is quite a snappy tablet. You won’t experience any lag when switching between apps, even with a couple of other tabs open. Performance-wise, the Samsung Tab S3 doesn’t fall short – it’s an excellent performer. While the Samsung Tab S3 received a bigger upgraded battery than that on the S2, the 6000mAh battery still runs out faster than the one on the S2. This may be due to the power-hungry Snapdragon processor and other advanced features (like the screen) that the bigger battery has to work harder to power. Put to the continuous video playback test, the battery lasted 11 hours and 43 minutes. Impressive, but still 3 hours and 4 minutes short of the iPad Pro’s 14 hours and 47 minutes of continuous video playback. Fortunately, though, the battery recharges pretty fast via its USB-C port. Although the battery trails behind the iPad Pro’s battery, it’s still way ahead of most of the other tablets in the Android ecosystem. With all the right things Samsung has done on the Tab S3, it becomes simple to settle on it – if you can afford around $550 (with the keyboard). It may be a bit pricier than the iPad Pro, but if you are a lover of all things Android, then it is worth it. Besides, it will be a good match for your Samsung Galaxy Note or S-series smartphone. If you have been shopping around for the best Android tablet that money can buy, your search ends here. Whether you need to use it for streaming, browsing the web, or finishing off some work, the Samsung Tab S3 will certainly help you do all you want to do. And that flawlessly. Mobile devices have taken over the world. According to research, as of 2016, people are now accessing the internet more on their mobile devices than on their laptops and desktops. The reason is simple, mobile devices are simple to use and, well, they are mobile. This means you can access, not only the internet but do a bit of work while on the go as well. What’s so special about this Taiwanese tablet? The proper definition of value for money. And that is why mobile device makers are scrambling to create the mobile devices that can afford users the best experience while they are on the go. Given, many of them are doing an excellent job, like the iPad, which is the benchmark for all tablets. Others, well, let’s just say they still need to go back to the drawing board. And we won’t name any names here. But one tablet that seems to have gotten a lot right is the Asus ZenPad 3s 10. Let’s get into our Asus ZenPad 3S 10 review and see exactly why Apple is running for their money (and why you should run and grab the Asus ZenPad 3S 10). The Asus ZenPad 3S 10 Review – Apple Imitator or Real Threat? They say imitation is the best form of flattery. But for Apple, there’s no flattery in the Asus’s imitation. This is one of the few tablets that are actually managing to make the iPad make a run for its money. What is Asus doing right (and wrong) in this innovative slate? Let’s start by looking at the spec sheet first. A brief look at the ZenPad’s spec sheet will give you a glimpse into what this must have (especially for Android fans) slate packs in its tiny frame. For those who understand the acronyms and figures, the Asus ZenPad 3S 10 is a pretty attractive tablet just by looking at the spec sheet. But for those who don’t know what all that means, let me decipher the spec sheet so you can see what it all means when it comes to everyday use. One thing the iPad is known for is its exceptional build quality that few can dare match (and still make a profit). But the Asus ZenPad 3S 10 comes pretty close. Let’s see just how close. Design-wise, it’s pretty obvious that Asus borrowed heavily from the iPad. But if you don’t mind a lookalike, you’ll definitely love this slate. One thing that Asus did better than Apple on this tablet is making it easier to handle and use by making it slimmer and lighter. Weighing a mere 15.2oz (its rival the Apple iPad Air 2 weighs 15.4oz) and width a super slim profile of 0.23 inches, this is one slate that will be comfortable to hold (even for prolonged periods of time). When it comes to build quality, the Asus ZenPad 3S 10 oozes of premium quality with its aluminum shell, metallic edges, and brilliant front glass panel. This is one of those few tablets on the market that actually feel as good as they look. In the true essence of less is more, Asus kept the design of the ZenPad 3S 10 simple. The only thing to disrupt the uniformity of the back is an Asus logo and the rear camera. The front is a bit busier as it sports an oblong fingerprint scanner at the bottom of the tablet (when held portrait), and a back and recent app capacitive buttons flanking it. The left edge features a micro SIM slot, while the right edge houses the power/lock button and the volume rocker. The top is clean save for a 3.5mm headphone jack while the bottom edge has a USB-C port nestled between 2 stereo speakers. This is one design that was truly well executed. Kudos to Asus for such a simple, yet elegant design. Speaking of the glass, the display is one of the best features on this tablet. The Asus ZenPad 3S 10 sports an impressively bright 9.7-inch, 2048 x 1536-pixel (2K), IPS display that affords you crisp pictures and rich, vivid colors. The display is so gorgeous it actually swallows you into the images and videos you’ll be watching. When put to the color gamut test, the ZenPad's panel managed to reproduce 113 percent of the sRGB gamut, beating the iPad Air 2 which scored 100 percent). It also beat the average for tablets, which stands at 94 percent. Compared to the Huawei MediaPad M3, however, it came trailing behind as the MediaPad scored an impressive 123 percent, meaning it emits even more colors than its rivals. Sadly, though, the Asus ZenPad 3S 10 didn’t do so well on the Delta-E test as it scored a 4.2 (closer to 1 is better). The Delta-E is a test of color accuracy, and Asus’ results show that the colors may be slightly off. The MediaPad fared better again as it scored a 2.6, which however is still not as good as the mainstream average of 2.3. The Asus ZenPad 3S 10 really shines in the display department as it emits 426 nits of brightness, way better than the mainstream average of 347 nits and also better than the iPad Air 2’s 368 nits. The Huawei MediaPad M3 slightly edged it to register 427 nits. Whether you’re gaming, streaming, or simply admiring your photos, the display on the Asus ZenPad 3S 10 is one display you won’t mind staring into for prolonged periods of time, especially with its blue light filter for night viewing. Performance is everything when it comes to user experience. After all, a beautiful tablet with a poor engine is nothing short of a waste of money. Thankfully, the Asus ZenPad 3S 10 has both beauty and brains, making it worth every penny of its price around $400. Equipped with a powerful MediaTek MT8176 Turbo CPU that packs both a dual-core 2.1-GHz processor and a quad-core 1.7-GHz processor, you can’t expect anything but smooth performance. That, coupled with 4GB of RAM helps the Asus ZenPad 3S 10 deliver fantastic speeds. Scrolling through websites and transition through apps is buttery smooth and snappy, even when you have multiple tabs open. And for that quick game during your smoke break, you’ll find that the Asus ZenPad 3S 10 handles games quite well, with popular games like Asphalt 8 running without any stutter at all. This is all thanks to the PowerVR GX6250 GPU which is capable of reaching speeds of 700MHz. The tablet earned 3,608 on the Geekbench 4 test, beating the category average of 2,994. 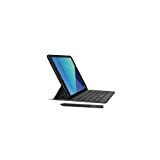 At no time will you feel the need for more processing power with this snappy tablet as booting it up, switching between apps, and doing whatever you love doing on a tablet is fast – there’s absolutely no lag at all. 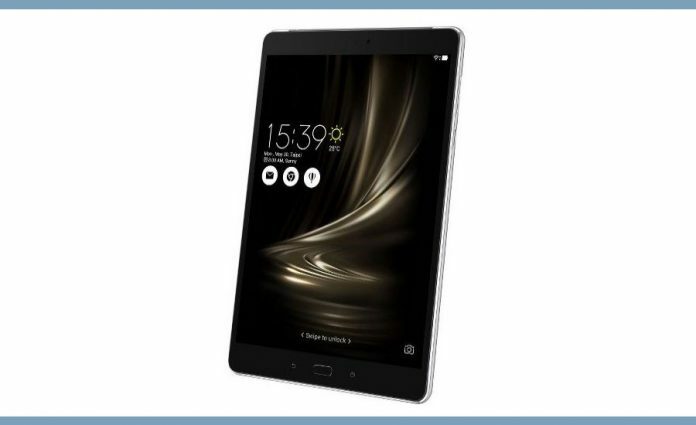 For example, when tasked to open a 5.8MB PDF file, the Asus ZenPad 3S 10 took 7 seconds while its main contender, the Huawei MediaPad M3 took 3 seconds longer. If you are looking for a premium looking tablet with powerful performance and yet at a fraction less than the category price, then the Asus ZenPad 3S 10 is definitely a tablet to consider. One of the biggest letdowns of the Asus ZenPad 3S 10 is the average camera performance – both the 5MP front and 8MP rear cameras. Although a tablet is not primarily a memory-capturing device, people do use them to do so, and the times they do, a good camera would serve the occasion better. Don’t get me wrong, the cameras are not horrible, they are just your average camera. The front one is good enough for making video calls while the rear one is good enough to take decent photos – as long as there is plenty of light. Yes, unfortunately, Asus forgot to include an LED flash. However, the camera application tries to redeem the average camera performance as it has many features and settings that can help to improve the images. For the audiophiles, however, the story is completely different as the Asus ZenPad 3S 10 has quite an amazing pair of speakers. Featuring some pretty powerful speakers and support for high-res audio, the ZenPad is capable of pumping out enough volume to fill a large conference room without compromising the sound quality. The Asus ZenPad 3S 10 comes with a sound adjustment app aptly named the AudioWizard. This app definitely works some serious magic as far as sound is concerned with its several presets namely, Smart, Music, Movies, Gaming, and Vocal. AudioWizard also has extra settings for in-ear and over-ear headphones, a preset for the Asus EL33 earbuds, and support for the Hi-Res Audio (HRA) standard. The audio experience on this tablet is pretty amazing, in fact, one of the best that can be found around $400 tablet. When it comes to mobile devices, one feature that can make or break the deal is the battery life. You do want to move around with your device after all. The Asus ZenPad 3S 10 doesn’t offer the best battery a tablet of its caliber can have, but the 5900 mAh battery it comes with is decent enough to last you a good 10 hours (according to Asus). However, in real life with continuous web browsing, the battery managed to last 8 hours and 9 minutes. That is actually a very good score, although it doesn’t beat the iPad Air 2’s 9:20 (a pretty hard battery life to beat) and the Huawei MediaPad’s 8 hours and 40 minutes run. With all that being said, the Asus ZenPad 3S 10 has a battery life that won’t really let you down as 8 hours between charges is more than enough to see you through the day, especially since you probably won’t be browsing the web the whole day. 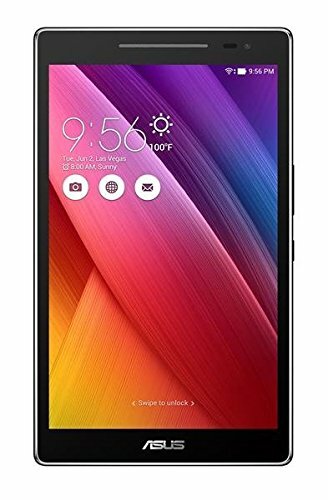 The Asus ZenPad 3S 10 – Exceptional Value for Your Money. The bottom line – the Asus ZenPad 3S 10 is a great tablet. If you are looking for a tablet that won’t let you down (except in the camera department), then this is it. this is a tablet that is well-able of delivering exceptional performance and a great looking design all at an affordable price point. So what are you waiting for? If you’ve been wondering which tablet you should go for, this is it.it will definitely serve you well whether you are looking for an extension of your office or simply looking to use it browse the web.